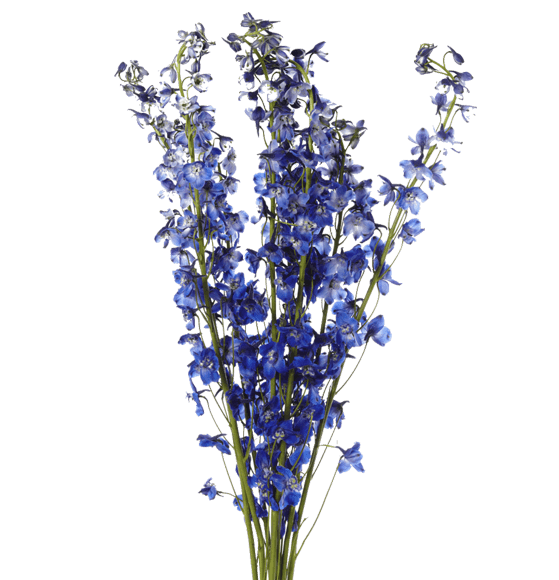 Rio delphinium is quite unique, due to its vibrant electric-blue and sky-blue colors, incredibly long vase life, and because it sheds very little due to a special post-harvest process we use. The gorgeous blooms of the delphinium encircle the sturdy stem, giving them the look of a soft spike covered in flowers; they are also said to look like a dolphin when viewed from the side, hence “delphin”, the Greek for dolphin. Rio is proud to be the largest grower of delphinium in Ecuador. Our delphinium is greenhouse-grown for super quality.